It was offered as a two door, two seater fixed head coupe and, later that year, as a drop head coupe. 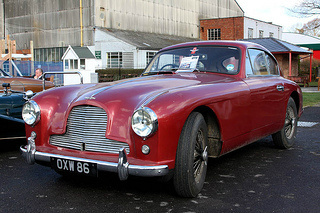 Early DB2's had a three-piece chromed front grille with large cooling vents in the front wings, but later models had a one-piece grille, and no vents. The bonnet was hinged at the front, the spare wheel was positioned at the rear, and there was space for luggage behind the front seats. 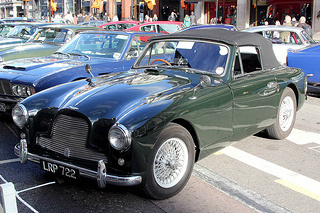 The first few DB2's used a tubular steel chassis from the DB1 that had been both shortened and strengthened, together with a six cylinder, 2.3 litre Lagonda engine, and four wheel coil spring suspension, independent at the front. It used Girling hydraulic drum brakes all round, and had a kerb weight of 1207 kg. 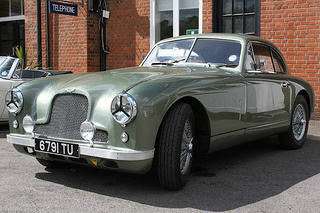 However, the final production version was based on the works cars that used the Lagonda 2.6 litre engine, and aluminium body panels. 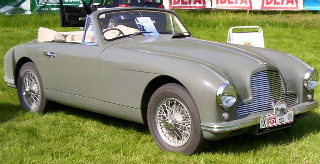 With orders for 100 cars being placed at the launch, sales of the DB2 were such that the company was stretched to keep up with demand. 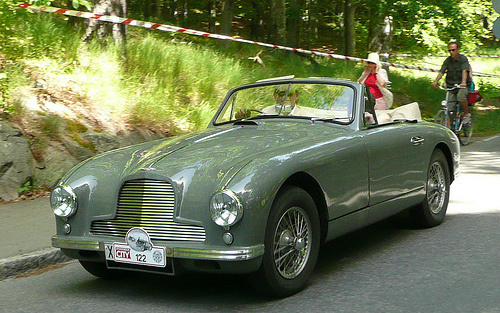 By the time production ended in 1953, 411 DB2's had been built, comprising 339 of the coupe and 102 drop heads. 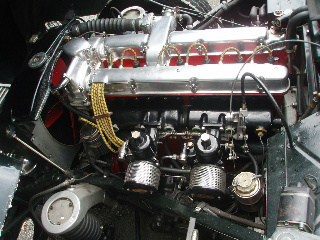 In the DB2, the 2 litre, straight four engine of the DB1 was replaced by the more powerful Lagonda 2.6 litre, straight six, DOHC engine, available as a result of David Brown securing both Aston Martin and Lagonda in 1947. When fitted with a four speed manual gearbox, a compression of 6.5:1, and two SU carburettors, it developed 105 bhp at 5000 rpm, and 125 ft/lbs of torque at 3100 rpm. This produced a top speed of 110 mph, and a 0-60 mph time of 12.4 secs. 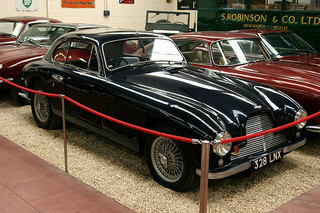 In 1951, the more powerful DB2 Vantage sports car was launched, and featured a modified engine with larger carburettors, a different camshaft, and a compression ratio increased from 6.5 to 8.2:1. This developed 125 bhp, and produced a top speed of 116 mph, with 0-60 mph in 11.2 secs. However, this variant was not suitable for the home market owing to the availability of only post-war low octane fuel. 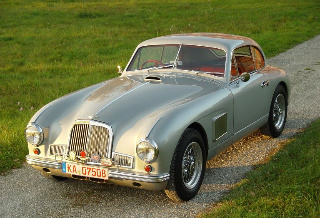 Repeating the pre-launch trial of the DB1 sports car in the 1948 Belgium Spa 24 Hour race, a pre-production works DB2, fitted with the Lagonda straight six engine, was entered in the 1949 Le Mans 24 Hour race, but had to retire. Not to be outdone, a month later, it finished third in the 1949 Belgium Spa 24 Hour race. 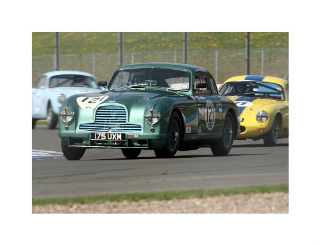 A year later, works DB2's finished in position five and six in the 1950 Le Mans, with Aston Martin winning the first two places in the 3 litre class. 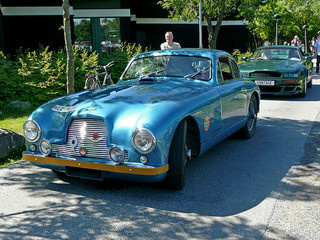 Also that year, a DB2 came second in its class in the very first Sebring 12 Hour race in Florida. In 1951, the works team came in fourth and fifth at Le Mans. 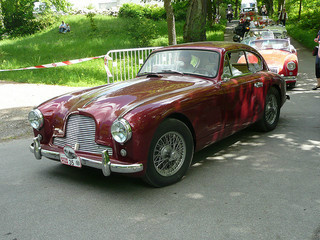 A 1952 or '53 Aston Martin DB2, in first class condition, would fetch between £105,000/$170,000 and £124,000/$200,000. 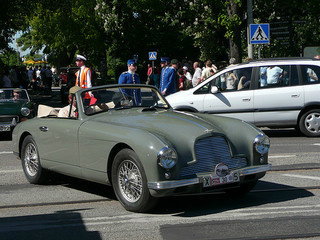 On the other hand, an early 1951 example would command in the region of £190,000/$300,000 to £270,000/$425,000. An interesting fact was that, in 2010, one of the original works DB2's of Aston Martin was sold at auction of £570,000/$910,000.